Love them or hate them, smart phones can be useful. Not just a mobile phone, they’re a camera, GPS, internet browser, e-reader and the list goes on. It seems everyone has one and they are fast becoming integral to the basic functioning of our daily lives. To add to their basic uses, there are a million and one different apps available for everything from (highly addictive) games to apps that help you learn a new language. Some add real value to your life while others, well, maybe not so much. In my view, a personal finance app on your smart phone is one of the most convenient ways there is to keep track of your money. No more scribbles on scraps of paper, you can track your spending and check your budget with your handy smart phone no matter where you are. The personal finance apps listed here are iPhone apps but most are available for android phones, too. Plus, the added bonus is: each of these personal finance apps is free! View all your personal finance accounts in one place—cheque, savings, retirement, and credit cards. Never pay late fees again! Set up bill reminders and alerts to help you stay on top of your expenses. The trends feature enables you to track your credit cards, cash, spending, income, and net worth over time. Set up financial goals such as saving up for a house, paying off debt, or buying a car. BillGuard includes identity theft protection powered by Experian, the largest U.S. credit bureau. Visual Spending Analytics – See your spending by category over time. Personalised Savings Alerts – Save real money at the checkout. BillGuard searches the web for coupons that will lower your bills, based on your specific spending patterns. Add your credit or debit cards to Passbook for access to your balances and latest transactions. Bank-level security ensures your data is kept private and secure. This is a companion app for YNAB for the desktop. You must have YNAB 4 installed on your computer. Don’t have YNAB yet? You can download a free trial of YNAB for Desktop from their website. Enter transactions on the go. Check your the balance in a spending category before making a purchase. Cloud sync with all desktops, iPhones, iPads and many other mobile devices running YNAB 4. View transaction history for every account. Multiple iPhones/iPads/iPods can cloud sync with the same budget, making it easy for an entire household to stay on the same budget! No more wondering if you have enough money in a certain category. After your spouse makes a purchase, it will show up on your phone and desktop automatically. Goodbudget (formerly EEBA, the Easy Envelope Budget Aid) is a personal finance app for budget planning and money management. Share a budget with sync across multiple phones (and the web!). Sync across multiple devices including iPhones, other smartphones, and the web so you can share your budget with a spouse, family member, or friend. Data is automatically and securely backed up to Goodbudget’s website. Make sense of your budgeting and spending with in-app reports like: spending by envelope report or Income vs spending report. Based on the envelope budgeting method. Check envelopes balances (aka how much you have left to spend) while you’re on-the-go. Track your bank account balances. 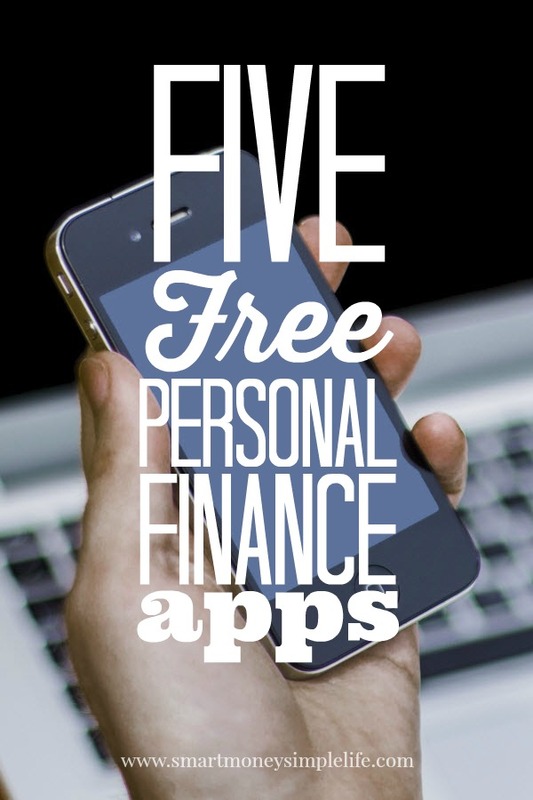 And… Just in case that’s not enough of a selection, here are five more free personal finance apps! Make the most of your smart phone and check out these free personal finance apps. Try one or try them all, you’re bound to find one that suits your needs and your preferences. Do you use one of these free personal finance apps? Are there any others that you recommend? I have mint and I love it! I like that you can put every account you have on it and watch your income go up and your debt go down. It’s amazing to me to see how many accounts I had open between credit cards and student loans that now have a zero balance! It inspires me to work that much harder at the ones I have left! Visual confirmation in the palm of your hand… Definitely motivating! Well done and good luck with those final ones. I use Personal Capital which I hear is a lot like Mint. I love the fact that it’s free. I hadn’t heard of iSpending before; will go check it out right now! Looks interesting, doesn’t it?! Let us know what you think of it. It’s incredible how many free finance apps there are out there today. I am planning on checking out Personal Capital sometime the next month or so. You’re the second person to mention it so I’ll definitely check it out, too.